Oil Hydraulic Press Machine / Specification And Features : Construction : Fabricated M. S. Plates Steel Body Piston Is Hard Chrome, Wiper On Cylinder Top . Construction : Fabricated M. S. Plates Steel Body Piston Is Hard Chrome, Wiper On Cylinder Top . Amit Machine Tools machines possess an experience of more than 15 years in the field of manufacturing and supplying of Construction Machinery in the global market.The products included in our range are Fly Ash Brick Making Machine, Concrete Block Making Machine, Concrete mixer machine, Paving Block Machine. In addition to these, we manufacture Pan Mixer Machine and Induction Motors as well. 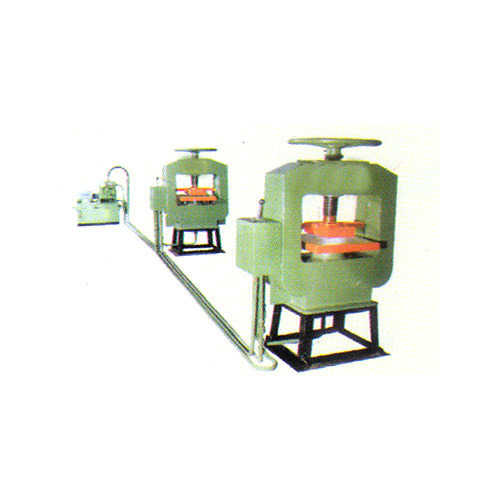 All these machines are designed and constructed to durable construction material that are of optimum quality .